Welcome Paige to the MTN crew! MTN is pleased to introduce Paige Tighe, who will be joining on May 5th as our new marketing and administrative associate. A social practice artist with an MFA from Otis College in Los Angeles, Paige brings with her significant experience in communications, outreach, social media, performance, and video production. She is passionate about connecting people to the resources at MTN to create innovative programming and will make a great addition to our team. Please welcome Paige to our community of dedicated media producers and organizers. The MTN youth freelancers filmed their first production at Hamline University for Globalwaterdances.org. Tierra and Rosy had a great time filming and editing their program. Give MTN youth freelancers a chance and hire them for your next production. Call MTN for Eboun at 612-331-8575 for more information. Check out MTNYouth on Facebook and YouTube, for their next projects. 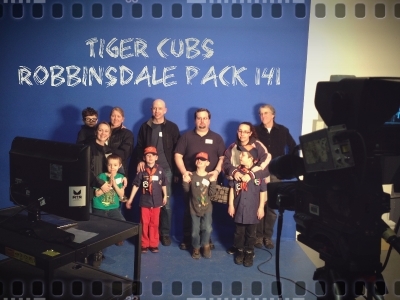 The Tiger Cubs of Robbinsdale Pack 141 stopped by MTN for a visit. Parents and cubs were given a tour by Doug, our access manager, of our facility and studios. They ended up at studio A and learned about blue screen. 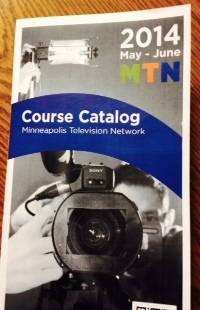 If your organization or school would like a field trip to learn more about public access tv, call MTN at 612-331-8575. On April 26th, 2014 hundreds of filmmakers, non-profit organizations, and inspired citizens will document stories that most affect the future of the Twin Cities as part of a community-wide, participatory media-creation event. The resulting media will be showcased in an interactive, geo-tagged archive, and a TV series for public television on the future of the American city. In addition, local media partners will exhibit the most powerful and inspiring videos created during the one-day filmmaking event. Go here for more info, to sign up, and to find out how to submit your film/video shot on April 26. The May-June MTN Course Catalog available the week of April 21st. Sony HXR-NX5U Camera: MTNâ€™s advanced-level HD camera is ready to be rolled out! Members will be able to take their shows to the next level. Look for new courses on Marketing Your Media, animation, video blogging and other new media, coming soon! Summer Camp dates are listed on MTN website. Beginner Animation Camp- June 9th-11th, 1:00-5:00- Instructor: Emily Downes. 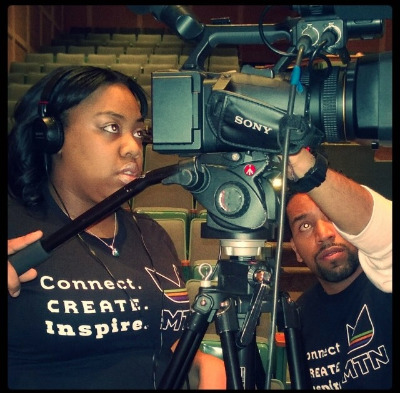 Media Connect Camp- June 23rd-27th, 1:00-5:00- Instructor: Jessica Talley. 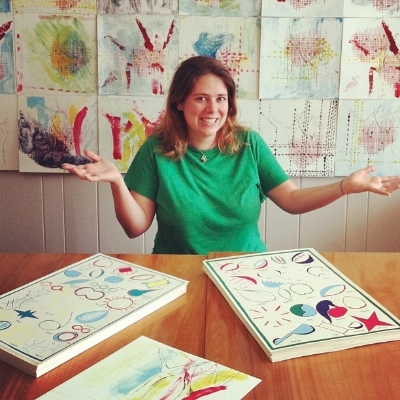 Advanced Animation Camp- Monday and Wednesdays, July 14th-23rd, 12:30-5:30- Instructor: Emily Downes. All camps- $75 for members, $100 for non-members. Registration is open now. Please email Jessica Talley at jtalley@mtn.org for questions. 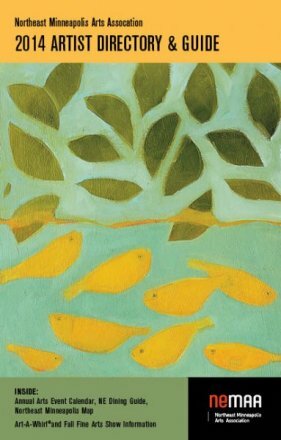 Art-A-Whril will be happening again in Northeast Minneapolis on May 16th through the 18th. Take your time and look through the neighborhood of artists and their craft. It's free and open to the public. Check out their link here. Copyright Â© 2014 Minneapolis Television Network, All rights reserved.